Have you ever noticed how social media brings out the “best and brightest” minds on conversational topics? Q: "Should I provide creatine monohydrate for my high school athletes?" A: "Players can get all of their needs met from chocolate milk and squats." A: "This is a horrendous mistake; high school athletes don't need supplements." For starters, there’s no creatine in chocolate milk. I hate to burst your dairy bubble but that’s not the point of creatine anyway. Now, you and I both know that supplements aren't going to take anyone from a lanky 5'10"/130lbs high school recruit to a stacked D1 superstar overnight. But, there are specific compounds which can play a vital role in performance (e.g. creatine) and health (e.g. vitamin D, magnesium, etc), which adults are deficient in. So, you can bet teenagers aren't getting enough, given they're crushing McDonald's, Yoo-hoo's, and Little Debbie cakes on the daily. 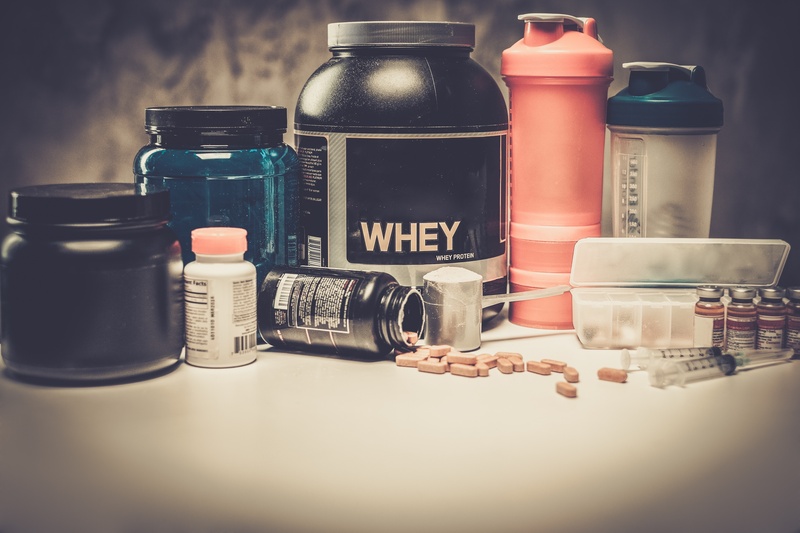 I'm not one to push supplements and I think they can often be overused or over-relied on; but, it's clear that the current educational background on supplementation and nutrition for many coaches in the high school strength and conditioning sector is poor. As such, I hope this article will bring clarity on the fundamental of the topic and provide practical recommendations. I can hear the comments now: “Athletes should get all of their basic needs met through food.” Sure, that’s all fine and dandy if you have parents who understand performance nutrition and the macronutrient needs of young, developing athletes. Out of 100 average high school athletes, how many parents would fit that classification? You can probably count them on both hands. Whey is not meant to replace anything, it is simply supplemental to a sound nutritional program designed with the health and performance of the athlete in mind. Most youth athletes are on the go and as such they resort to simple, processed snacks instead of quality, nutritious options. Tons of healthy fats, complex and simple carbs, plenty of fiber, and a quality dose of protein. That’s what portable nutrition looks like for adults or high schoolers. Also, in case you were wondering, you’ll never taste the spinach so don’t worry about it. Takeaway: Don’t be afraid to bolster your protein intake through high school a bit with liquid options. If you haven’t eaten before training, consider a shake with 25-30g of protein. Similarly, if you won’t be able to eat for a while after training, a simple shake (better yet a “super shake” as described above) plus 1-2 pieces of fruit makes for a great, portable post-workout option. I'm sure we’ve all heard how creatine "leads to dehydration and kidney issues" when in fact the opposite is true - creatine acts as an osmolyte and actually INCREASES intracellular hydration, which enhances hypertrophy via anabolic signaling (mTOR). Takeaway: 5g/day. Creatine monohydrate is dirt cheap and extremely beneficial. Don’t believe everything you read or hear from others, think for yourself. Not only that, most forget that light exposure helps to establish circadian rhythms and influences a whole host of biochemical, metabolic, and neuroendocrine reactions. [10,11,12] Those who avoid natural light exposure by utilizing sunscreen and sunglasses constantly are preventing their skin from executing one of its most important functions. Now, typically with vitamin D you might expect specific recommendations relative to bloodwork (>75nmol/L-250nmol/L if you want to get technical). But, in the case of a high school athlete, you’re going to run into issues with sustainability and bloodwork. When was the last time you heard of a high school athletes getting consistent blood work to monitor vitamin D levels? My point exactly. As such, it’s important that we examine and modulate lifestyle factors before we default to supplementation. Takeaway: Seek out full spectrum sunlight as early in the day as possible (ideally first thing in the morning). Shoot for 30+ minutes of daily sun exposure without sunglasses. Can I take caffeine in high school? Do BCAAs help with muscle growth and delayed onset muscle soreness (DOMS)? Is it safe for high schoolers to frequently use melatonin if they have trouble sleeping? All this and more coming in Part 2 of the series. If you have specific questions you’d like to have covered, feel free to drop them in a comment below or reach out directly on Facebook @Michael Joseph Wines.